It’s been 17 years since my last trip to Israel when I came with my husband and new baby. My family has a strong connection to Israel, where my parents have owned an apartment in Jerusalem for 20 years. This time I am lucky to be with the Jewish Women’s Renaissance Project. 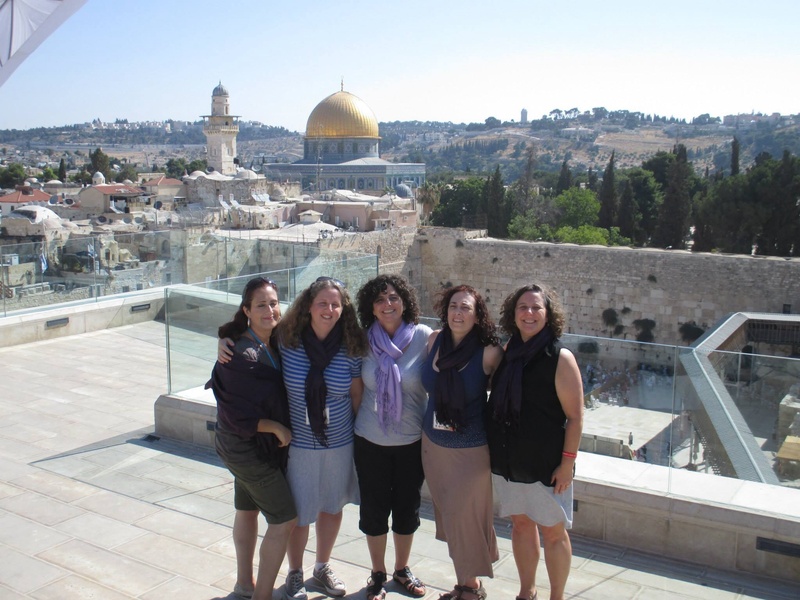 This organization runs trips for women, mostly mothers, to expose them to Judaism and Israel in a deeper, more meaningful way. I am very excited and happy to be back in Israel. My voice cracked with emotion when I called home to speak with my children to tell them about my trip so far. Where did that come from? I don’t really know, but it must be from the same place within me that was determined to come on this trip when others cancelled. We feel very welcomed by the Israelis who tell us they are glad that we are here. Our contribution feels minimal but we are glad to shop and spend our money if that is how we can be helpful. Maybe our presence is our present? American friends tell us we are brave, but we don’t feel especially brave as we go about our business with our itinerary as planned. The most courageous thing I did this week was buy a piece of art without consulting with my husband. In my own way, I felt strong and decisive about that piece of art and it’s magical ability to help out the state of Israel. I loved watching courting religious couples, meeting nervously for the first time in our hotel lobby. It reminds me that life goes on in this country, in spite of the incursion. We are not oblivious to the situation surrounding us, although we have yet to experience air raid sirens or bomb shelters. We are reminded of the hardship and bravery of the Israeli soldiers when we meet Israeli mothers who ask us to say a prayer for their families. We share their worry and their pride. I am just an ordinary Jewish woman who came to visit her homeland. It’s good to be home. This entry was posted in Family, Travel and tagged Home, Israel, Judaism, mother. Bookmark the permalink. love it! Glad you are “home” Love to you and Ora, and also your dad! amazing….reading your story brings me back to Israel and all the times I was there and things were not “quiet”. You have to be there to understand. Wonderful that you bought art. We have two pieces we brought home and love till this day. Enjoy! !